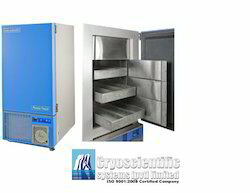 Cryo Scientific Systems Pvt Limited, with its establishment in the year 1993, is known to be one of the leading manufacturers of this impeccable and diverse range of Laboratory Equipment. 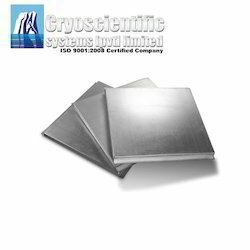 Making of this range is done following the norms and guidelines of the industry, utilizing the finest raw materials and advanced technology. Owing to this, the offered range’s performance, service life and user friendly nature, is widely praised. 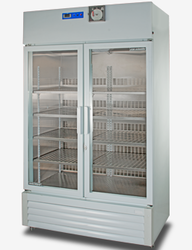 This commendable range is made up of the finest and highly acclaimed products like Ultra freezer, Deep Freezers and Laboratory Refrigerators, which are marked at a market leading rate. 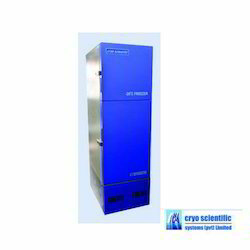 The highly advanced state-of-the-art infrastructural facility at Cryo Scientific Systems Pvt Limited, has been equipped with all machinery and equipment, which facilitates the attainment of a number of the firm’s goals and objectives. 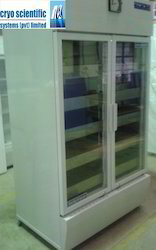 To boost our productivity and maximize our reach in the market, the facility goes through regular up-gradation. To manage the operations of the firm in the best possible manner, the facility has been parted into a number of highly operational units. Along with these, our abidance of industry ethics and standards, have helped us generate a huge and a highly reputed client base comprising Christian Medical College, Cancer Institute WIA and Cryobanks International.